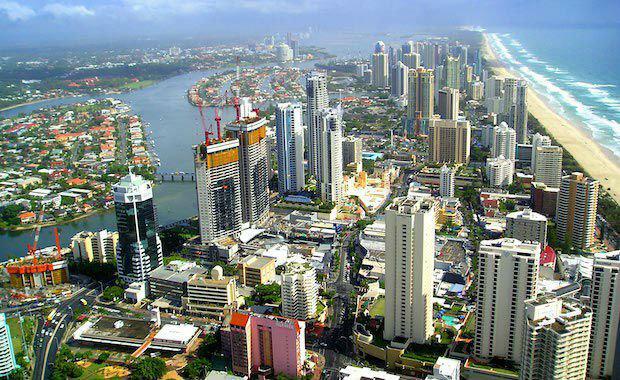 Foreign property investors have spurred the Gold Coast’s renewed real estate development scene, according to leading industry figure Andrew Bell. Backing the Reserve Bank’s recent statement on the impact of foreign buyers on Australian house prices, Mr Bell said overseas purchasers were not pushing up prices across the Coast. The CEO of Ray White Surfers Paradise Group said foreign buyers, particularly Asian, had actually played a key role in the resurrection of the city’s post-GFC development scene. “It cannot be said that the Asian buyers have driven prices north market-wide – that said, they may push prices up on the odd property if they’re competing for it, as does happen when any two people compete for a property,” he said. “As the Reserve Bank said recently, their impact on Australian house prices has been overstated, and that echoes our experience on the Gold Coast. Mr Bell said Asian buyers had filled the void when the city had a glut of unsold new apartments following the global financial crisis. “Much of the Asian activity on the Coast has been the absorption of stock that Australian buyers simply weren’t interested in or not confident in buying,” he said. Mr Bell said the Coast’s oversupply of apartments had subsequently diminished, making way for a new development cycle. “This new development is driving economic growth, generating jobs and having flow-on effects for the Coast, such as creating more holiday accommodation which in turn boosts tourism. On June 27 the Reserve Bank told a parliamentary committee hearing that it did not think overseas investors were a big factor pushing up Australian property prices .